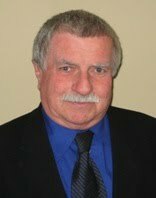 John Burke – Pace Law Firm: Human Resources and Skills Development Canada has just announced a number of changes to its Labour Market Opionion application process which will be effective on April 1, 2011. This will coincide with Citizenship and Immigration Canada’s Regulatory changes to the Temporary Foreign Worker Program (TFWP), which will also come into effect on that date. Included in the changes will be new application forms. These will be available starting March 25th. One of the new application forms will be dedicated specifically to the Live-In Caregiver stream; the other will be designed for use with all other TFWP streams. In addition to the existing standard requirements to apply for a labour market opinion (LMO) under each stream of the Temporary Foreign Worker Program (TFWP), (HRSDC)/Service Canada will expand its evaluation criteria to include a more detailed description of the main business activities; an explanation of how hiring a temporary foreign worker (TFW) meets the employment needs of the employer; and a signed statement attesting that the employer will abide by the program requirements. HRSDC/Service Canada’s objectives in implementing these changes are to increase its emphasis on determining the genuineness of job offers made to foreign workers and to ensure that employers comply with the terms and conditions specified on all positive LMOs issued to them. If an employer is found to be non-compliant, HRSDC/Service Canada may issue a negative LMO and revoke all positions on confirmed LMOs for which work permits have not yet been issued by Citizenship and Immigration Canada (CIC). As well, CIC may deem the employer ineligible to hire TFWs for two years and the employer’s name, address and period of ineligibility may also be published on a list of ineligible employers posted on CIC Web site. Detailed information pertaining to these changes is available on HRSDC/Service Canada’s website. If you have any questions or want to learn more, you can also contact me here. I will get back to you as soon as possible.